Hey Guys, I hope you all had a great Memorial Day Weekend with your family and friends. Now onward and upward to this week’s installment of The Impact. 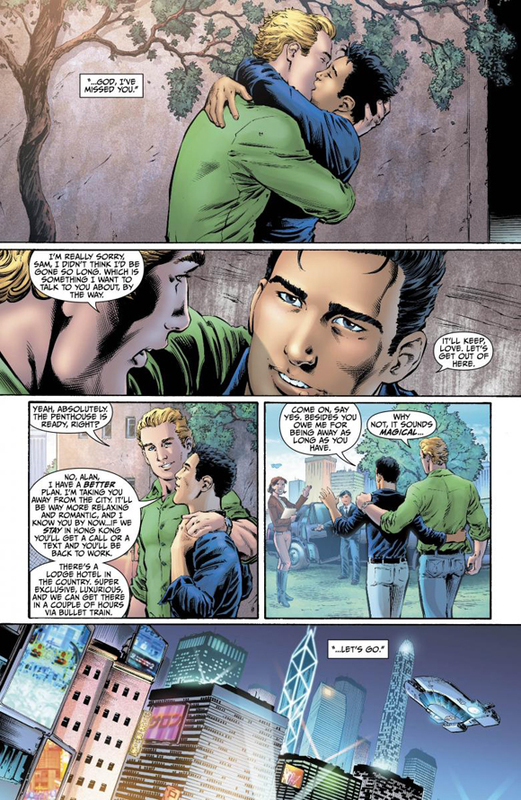 Earth 2‘s Alan Scott Revealed to be Gay. Courtesy of The Source. Two weeks ago DC Comics teased that one of it’s iconic characters would be revealed to be gay. 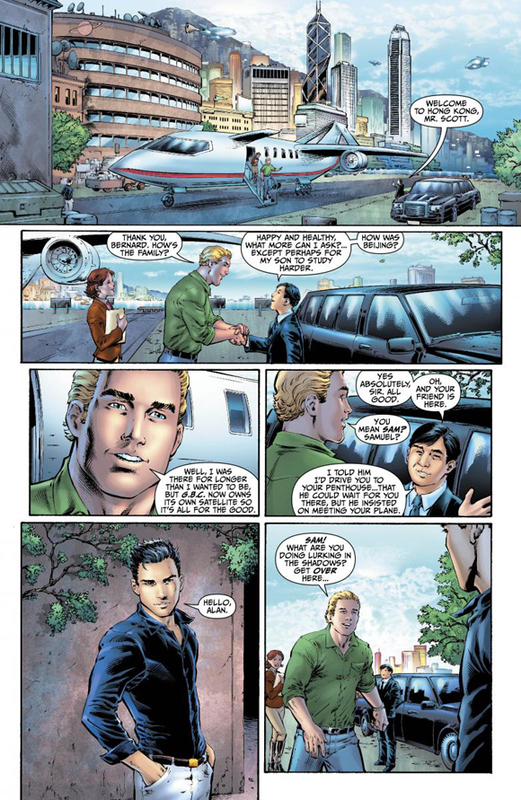 Today they announced that the character is in fact Alan Scott the Green Lantern of Earth 2. In a press release writer James Robinson spoke about Alan and his feelings toward the character. As I have said before I look forward to the day when this isn’t a news story and that a characters sexuality is not a defining feature, just a part of who they are. That said mainstream gay superheroes are rare and this is a news story. I just hope that it’s one that’s quality lives up to or exceeds the hype. Earth 2 #2 hits stands Wednesday June 6th. Spoiler Set Pics From the Set of Iron Man 3 Reveal Surprising Villain. Earlier this week we got our first glimpse of James Badge Dale in costume. His character was previously revealed to be Eric Savin aka the supervillain known as Coldblood. 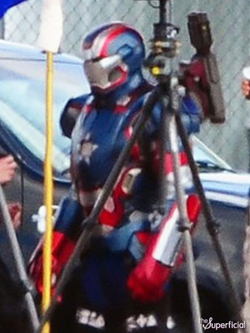 But as you can see here he is wearing the armor of the Iron Patriot. Originally in the Marvel universe it was Norman Osborn who went by the moniker Iron Patriot, but with Sony not letting go of Osborn anytime soon they have clearly tweaked the character. The armor looks great As I’ve stated before the casting for this movie has been fantastic and I have complete faith in Shane Black. Iron Man 3 opens May 3rd 2013. 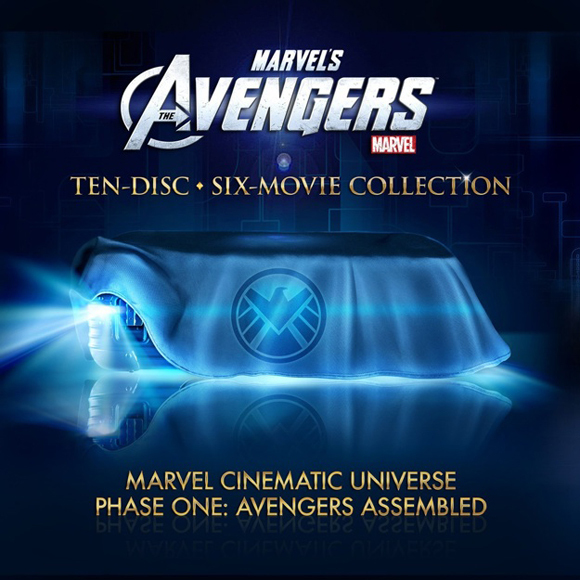 Marvel Teases The Avengers: Phase One, 10 Disc Blu-Ray Set. Fan Designs Coolest Case EVER. The packaging, which appears to mimic the case Nick Fury transported the Cosmic Cube is cool. What is even cooler is the custom made Hellicarrier case courtesy of Dave’s Geek Ideas. Last week we got our first official look at Danai Gurira as Michonne. AMC announced that the week leading into San Diego Comic Con it will reair the entire series in a weekend long marathon. Each episode with be wrapped with exclusive character and scene-specific content from the first two seasons, including behind-the-scenes footage and sit-down interviews with the cast. It will conclude with a special episode of The Talking Dead at Sun., Jul. 8 at 9/8c. 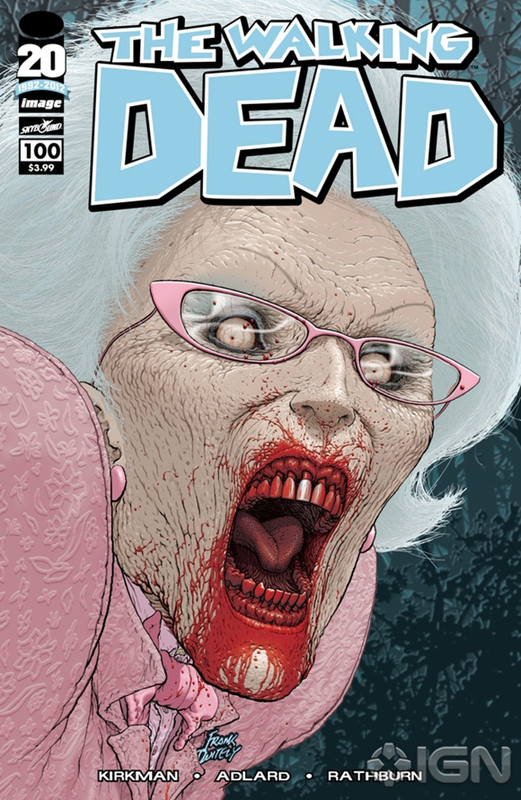 Hosted by Chris Hardwick the episode will reveal a first look at the third season, information on the show’s presence at this year’s Comic-Con, and will offer a chance to enter The Walking Dead Watch to Win Sweepstakes. The winner will receive a trip to Atlanta and a “stagger on” role as a zombie on the hit show. The marathon will then conclude with a screening of the series pilot done in black and white. I think this is great as it will be a nice primer for people going to Comic Con and it’s a nice treat for those who are not able to make it to Comic Con. 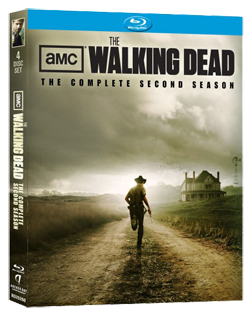 AMC also announced that we will be able to buy the second season on DVD and Blu-Ray on August 28th. Specific details on the bonus content was not revealed. We do know the disc will have audio commentaries, 9 never-before-seen bonus features, easter eggs and more. Well there you have it guys a short but sweet installment of The Impact. Have a great weekend. Take care.